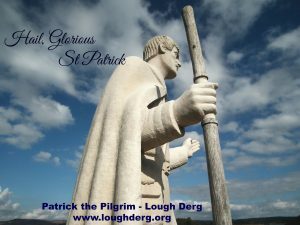 The Prior, Fr La Flynn, shares a little of the story of ‘Patrick the Pilgrim’ statue here at the national shrine to St Patrick, Station Island, Lough Derg. “The statue of St Patrick at the lake shore at the Sanctuary of St Patrick, Lough Derg, was created by Ken Thompson, the Cork sculptor, to mark Jubilee Year 2000. Ken gave us not the traditional Patrick robed and bearded as a Bishop but a much younger vibrant Patrick. Instead of the ceremonial Bishop’s Staff he carries a pilgrim staff, serviceable, sturdy, a great help to him on his journeying and his other hand instead of being raised in a gesture of blessing is raised in what I read as a gesture of engagement and invitation. It is as if he is inviting us to join him certainly to engage with him. Just a little distance away there is the sign that marks the beginning of the medieval pilgrim path that pilgrims used to make their way around the lake shore to the nearest point to Saints Island. 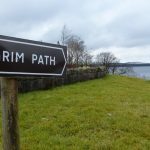 On Saints Island was the monastery was where they found hospitality and spiritual guidance as they prepared for the final crossing to Station Island to the cave and the Vigil that have always been at the heart of the pilgrimage at Lough Derg. 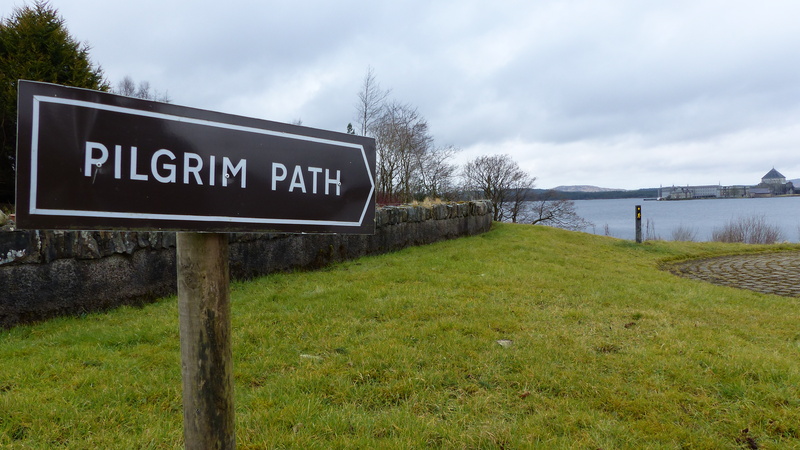 So my prayer for you this St Patrick’s Day from Lough Derg is that you may find whatever you need that will give you support, steadiness and assurance on your path of life, your personal pilgrimage. ” Fr La Flynn.